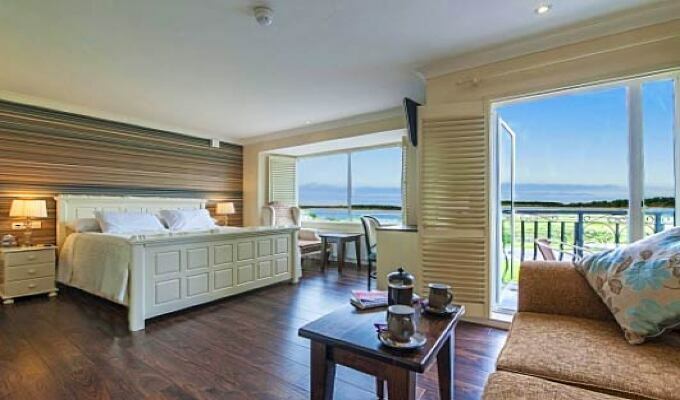 Overlooking Galway Bay, Sea-Breeze Lodge is a very high standard guest house purposely built to cater for guests. All the rooms are en-suite, spacious, with 21" cable T.V. (12 channels) with tea and coffee making facility. All the beds are luxurious and fitted with orthopaedic mattresses. The first floor rooms have wooden floors. Pay-phone and fax are also available, together with a private car park. Its fine promenade is equipped with a swimming pool with an 18-hole golf course close by. Salthill has the best of both worlds: fashionable and well-equipped, while adjoining an ancient and historic city. Amenities such as restaurants, pubs, fishing, horse-riding, cycling, water sports, tennis, an indoor swimming pool and beautiful beaches are all within walking distance. Today Galway is the fastest growing city in Europe. And it shows. Galway has a young population with a large portion under 20 years of age, It also has a very active university and this is reflected in Galway's energy and liveliness. We can watch the young playing hurling in the pouring rain and the ubiquitous "nice day, isn't it" comes from smiling faces even if the sky has opened its floodgates. The city is full of music and street activities, galleries, restaurants, and theatre. Its literature and arts festivals attract thousands from all corners of the world, as do the Galway races. The word energy comes to my mind. Fishing in the middle of town, rowing up the river into the lake, sailing on Galway Bay, walking on the shores... its buzzing atmosphere gives Galway a continental character. Not only do many "blow-ins" from all over the world love and live in the city, but also an endless medley of tourists flock into Galway during the summer. They speak of the friendliness here and many of them are back year after year."